The city of Phoenix, Arizona, which was founded in 1870, had a trolley car system from 1887 until 1948, and then had nothing until the modern light rail system, which is now in operation, began in 2008. 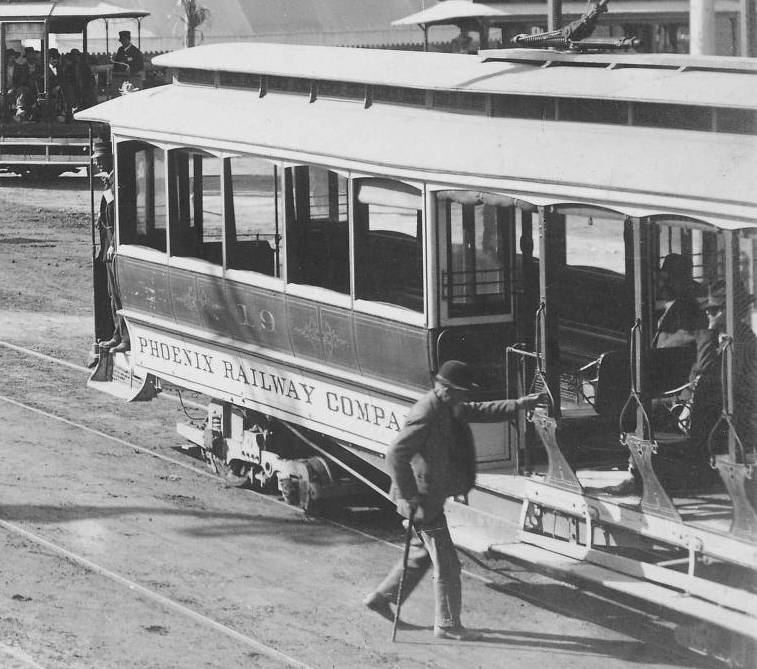 That means that for over sixty years, the city of Phoenix had trolley cars that took them all over the valley, and to Mesa and Tempe. 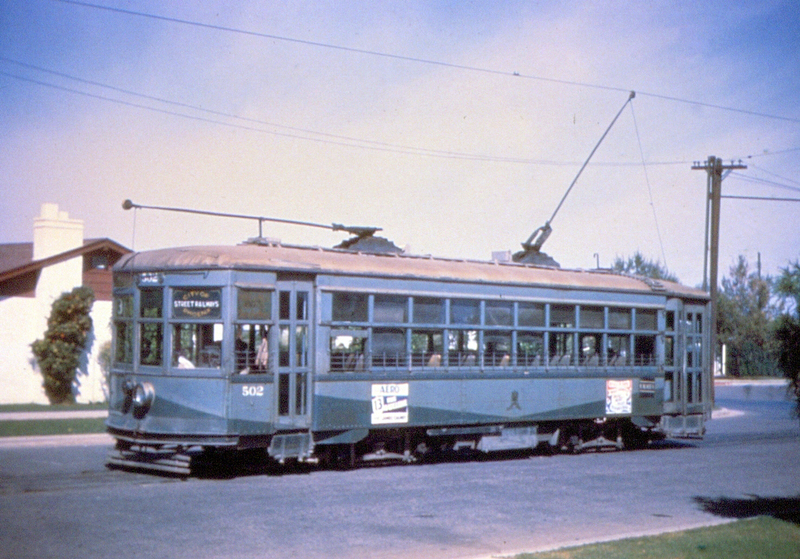 Then in 1948 the trolley car system was abandoned, and for the next sixty years, light rail did not exist in Phoenix. 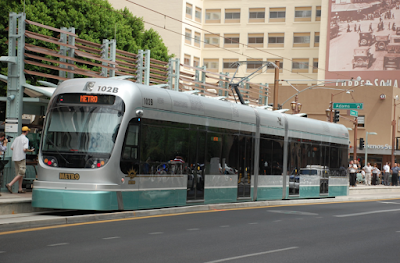 The Phoenix that I remember, beginning in the 1980s for me, didn't have light rail. And even most of my expert PhDs (Phoenix History Detectives) aren't old enough to remember the 1940s. And that makes it surprising for people like me to see old photos of the trolleys. The Phoenix that I know just kept widening the roads, building more parking lots, building more freeways. The city of Phoenix lived with light rail for sixty years and then went without it for sixty years, but now it's back on track. I'm interested to see what happens next! I am not a fan of the light rail system. It's expensive to build, to run, and to maintain. Its limited span makes it unattractive for riding compared to buses and building it out to attract more potential riders is prohibitively expensive. And it suffers from the inherent problem of the old trolleys: fixed, inflexible routes. There's a reason buses won out: low capital, plenty of infrastructure, easy route changes, and cheap tickets. There is ample evidence that light rail crowds out buses in the budget. As it expands, it's going to make it even harder for people who can't afford cars to find decent transportation to work and errands. But light rail is sure nicer to look at and wistfully link back to the past.